Here i am sharing success story of one of our alumni Sakshi Mathur. Now she is working in Sagacious IP one of the best Legal Consultant in India. And by the time she did it. But Sakshi’s story had just begun. Sakshi is a science background student and after her senior secondary and intermediate she decided to get into Biotechnology field. 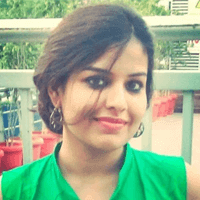 She qualified her B.tech in Biotechnology from Jaipur National University, Jaipur. After that she worked on different lab techniques, Useful for industrial basis. In month of May 2017 she got to know about Job oriented patent analyst training program of IIPTA. She joined the course in IIPTA with very less fee. She joined for JOPAT. Under this program she learnt about intellectual property rights, patent searching, IPR law’s, prior art search, tools of patent searching and many more. In this training program she also learnt about Trademarks and Copyrights. Now she is successfully placed in Sagacious IP one of the best Legal Consultant in India, on the post of IP executive with very good salary package and she is performing well at her job.